Ahhh!! Fall is officially here. It is my favorite season of the year. 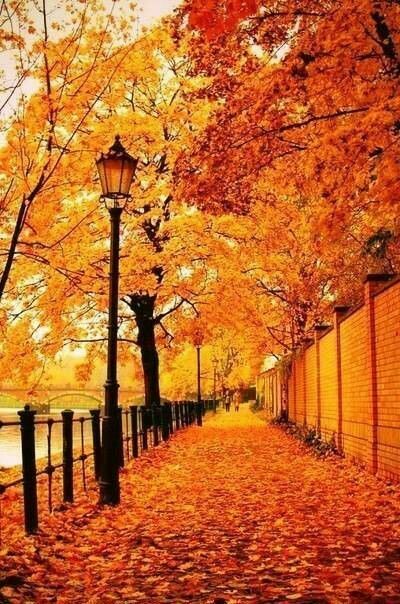 I love the smell of the great outdoors, watching the leaves turn colors and feeling the crunch of them under my feet, and best of all the weather. For the past four years I have been living in Orlando and unfortunately I don’t get to experience the great changes in weather that my Northern family and friends experience. However, that doesn’t mean I can’t enjoy some fall fun. Here are some fun fall things you can do for the fall season. Go to a Fall Festival- As a fall is a great time to get outdoors, you are sure to find festivals of all kinds. I would say mostly throughout September and October. Attend a Fall Football Game and Tailgate- Everyone loves the great American sport of football and even if you don’t you can enjoy the tailgate festivities. Volunteer-Fall is great time to give back, especially with Thanksgiving coming up. Find somewhere you can volunteer your time helping to make someone else’s life better. Go to a Haunted House-Halloween is next month so you have plenty of time to find a place that will scare the pants off you. Find a Corn Maze if you’re not into being Spooked- While there are some scary corn mazes, there are some mild ones. This is one of my favorite activities to do in the fall. Unfortunately, since I’ve been in Florida I haven’t been to one. I believe that this is the year for me to go. Go Shopping-Fall is a great time to stock up on necessities. It is also a great time to add some nice trendy pieces to your wardrobe. Drink Apple Cider-Make it hot and add some caramel to it. Yummy! Check out the recipe here. Eat Cider Donuts-This goes great with some apple cider. Visit the Cider Mill- You can get the above items at this wonderful emporium that is the very essence of fall. Find one and go. Go on a Hike-You need a way to work off those all those cider donuts. Fall is a beautiful time to get outside. Find a trail and take a hike.